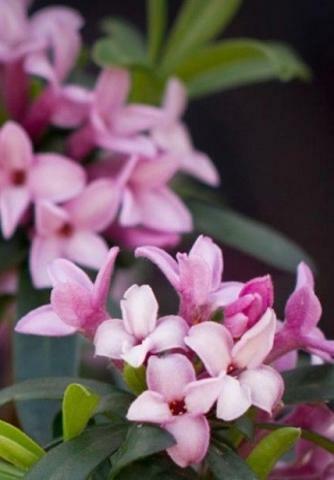 Compact evergreen with highly fragrant soft pink flowers on new growth which makes it a repeat flowerer. April to October. Eventually 60cm tall. Good in a container. Sun and a decent soil.